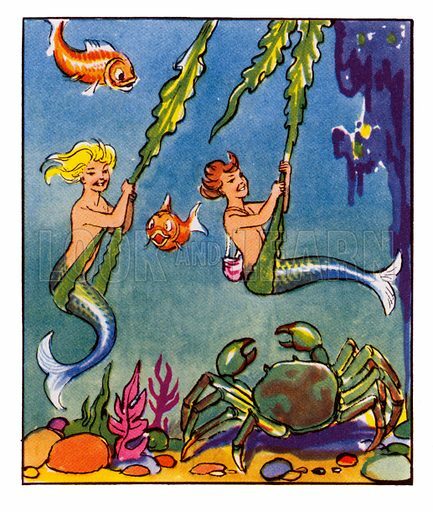 Peter and Pearl, the Merbabies. Comic strip from Jack and Jill Book 1957. Available worldwide for immediate download up to 3,679 x 4,349 pixels.